Dropshipping Sites Bring That Guy $80k-$150k Per Month: Africa ROCKS! Hi Daniel, congratulations on your dropshipping success. I wish you many more successes in the future. Thnks for the comment, I didn’t even know Yoros had published this story…previously I was using friends and family, but now I am using stripe, I got in using stripe Atlas, another solution that YOROS gave me was myllc.com (Seemed the cheapest option to have an LLC) and Payoneer. How can you sell in other country without any custom issues? I am not sure I have a straight outta the door answer to this, as I think each country has its own rules. But I have not faced any issues with customes up until now. Hi, Yaros! Thank for sharing! I was wondering how he setup payment gate for his 12 stores? Can you explain! Thank so much! Hi daniel first I wanted to congratulate you for your success in dropshipping. yet I am in Africa and willing to start a dropshipping activity. I am a total newbie . I am looking for a friend who can share his experiences with me. Could you help me with some advices while accepting my friend request ? Hope you are still doing your best there. One of them – I am importing the products from amazon to my wordpress website and that work fine, but what about cost for shipping? that doesnt import from amazon automatic? because in my products is always shipping free…. Thanks for sharing this awesome story…Keep up the good work and best of luck amigo..
How do I analyze the competitors and see what they target? There are many tools to spy on competitors, shopyspy, product reveal, Adsviser etc, depends on what it it you are going after. And what you are spying, it could be products or ads. You are an inspiration my friend, keep killing it! Er why on earth is there a screenshot from shopify?? 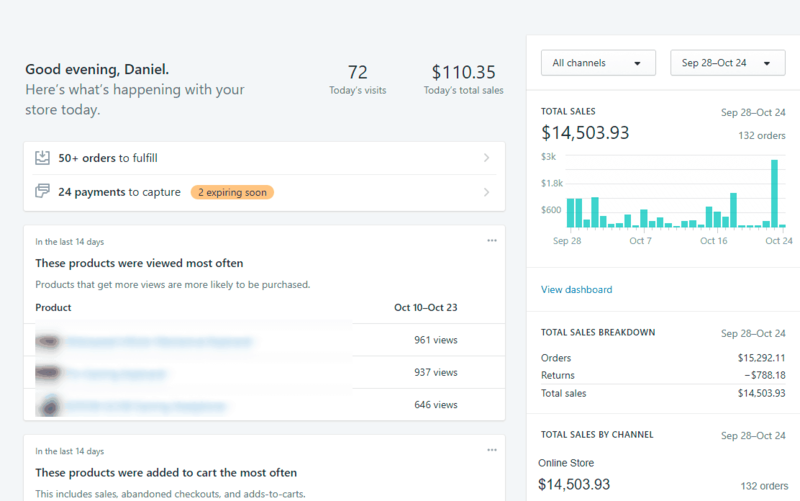 If you read Daniel’s thread on our forum (the link is provided at the beginning of the interview), you’ll see he shares the identical Shopify screenshots as he runs his stores BOTH on Shopify and WordPress. 1)	The experience of any drop shipping store owner, regardless of the platform he/she uses, is valuable for people who are at the very beginning of their own journeys. Whatever technical solutions are used, the mechanics of the business, the daily management routine, and the promotional strategies are basically the same. On our forum, we encourage people to share their business insights, and we welcome entrepreneurs with every possible type of technical solutions in use. 2)	The commercial success of a drop shipping store does not depend on the platform used. The platform itself is just an instrument allowing you to manage your time more efficiently. When the processes of adding products, contacting sellers and processing orders, etc. 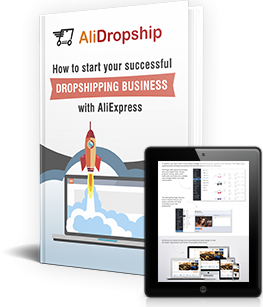 are automated, you have more free time to carefully evaluate the niche’s potential, the products in demand, and the best marketing/promotional strategies – which, as you know, ARE the main components of a profitable drop shipping venture. Thank you for the question! I hope I made it clearer for you. Thanks for the reply, to add to that, many cry outta the gate that they dont have money, and therefore usually get the 14 day, 45 day or 60 day trial with shopify. Convenience is why I used shopify, 80% of my sites are wordpress, but I have to optimize for speed to make sure everything is working well. I prefer wordpress to shopify, though when it comes to convenience, I just tend to use shopify. This is marvelous and very very inspiring! When you ask questions they should be One at a time!! Daniel did not answer all of them and some of the answers I would have liked to know. I have answered to the majority Louis, trust me, I have been responding to close to I think 60 questions a day since putting up this case study. I will always try and answer to them all. Thank you very much for success story. I am from Rwanda, kindly writte to me, I am to start dropshipping business in Rwanda, I think you may help me very much. Congratulations Daniel. Thanks for sharing with us also. It inspired us not to give up at all. I wish you more successful business. I would like to connect with you to learn at more and ask few questions as it regards Africa business environment. Well done and thanks for sharing! What a great inspiration for us in Africa! How many articles do you post on your affiliate niche sites before it starts generating money for you and which content writing service do you use? Hello Daniel! I’m really inspired by your success story. 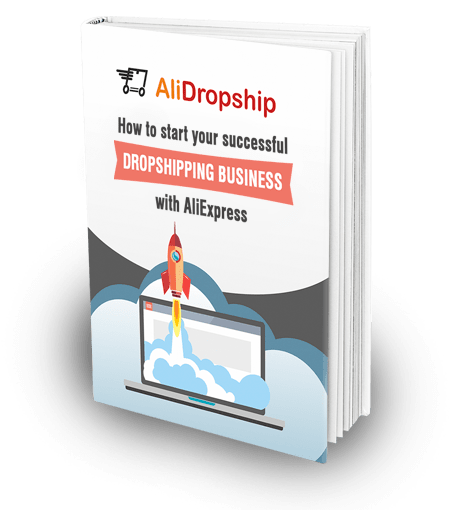 I’m an internet marketer in Nigeria, and I’ve just recently set up my own dropshipping site using WordPress and Alidropship. I’d love to have a chat with you to get some more light to get my store selling. Pls, let me know how best I could reach and chat up with you. I am planning to start few websites specially for Amazon Affiliation Program kind. I am from India. Do you please suggest more Affiliation Programs than dropshipping. I meant, just display the products in my portal and get commission once bought. Hi Daniel, Thanks for your sharing! 1. How do you find out how many active FB users on a product? 2. How do you work on Messenger Automation, could you mind share with us how to do it? 3. What do you spy on your competitors? TO find active FB users, I look at competitors products and their ads…I have Ads and store spy softeware I use. As for messenger, I have a script that was coded for me…so it’s what I use..I will be releasing it soon to a few of my students…but there are others out there..like many chat etc..only problem is that they can get costly at times as your leads grow…. Congratulations on all your achievements, you’re truly inspirational. You have given me hope. 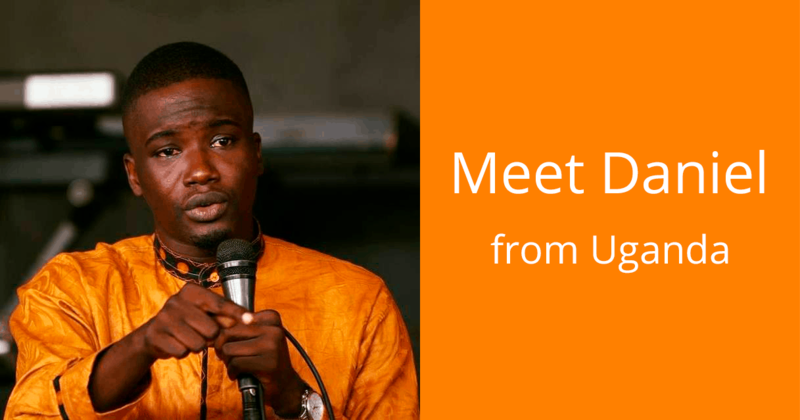 I’ve been trying to enter the drop-shipping market in Africa for a while now, but like most people here, getting to grips with the tricks of the trade or “ninja tactics” as you termed them 🙂 is quite a challenge. I’m sure we would all love and appreciate the chance to make you our “Sensei” and mentor in ninja tactics. I personally wouldn’t mind even paying for classes from you…another business opportunity for you maybe? I am motivated by your story, and I intend to use the Alidopship plugin but I have a concern – fast shipping at lower costs. My customers are based in Nigeria, and I intend to sell simple and cheap items in the fashion niche. How do I get these products to customers fast, without overcharging them for such simple products. Olga, please feel free to chip in too. Whenit comes to shipping, I usually check for epacket first and foremost…if epacket is expensive for an individual product, you might want to invest in getting those products to your country wholesale then running promotions to them…and hopefully, you will have picked the right ones..coz it can become a big issue if you pick the wrong products…so if epacket is expensive, and FREE shipping by China post mail takes forever…then I leave that product unless I have enough money for buy in bulk. Why do people so often talk in gross income and not net? like who cares about gross if we’re trying to get an idea of whether this is a viable income stream? gross doesn’t really matter. it has nothing to do with what you get to keep and gives me NO idea of what kind of living you make. Net is what matters. Hello Danile, It’s Great to read your success and get motivated. .. can you guide me on which virtual assistants you sued to manage the stores, fulfilling orders and responding to customer queries. Thanks! Hello Daniel thanks for that contribution am in Uganda and I want to start drop shipping which supplies do you use and do they ship or deliver products within Uganda. Hi can you please send me an actual link to a successful dropship store? Its good of you to share your experience. Am from Uganda and was wondering if you have physical place someone can meet you to share more. Congratulations on your success. I’m just a newbie in this dropship business and I need to know how to get started. I’ll be glad if I can get someone to help me out. How did you get to set up paypal in your country? In Nigeria we can only send but cant receive payment.